Back in the 50’s fashion and early 60’s the beatles trousers were the thing to imitate. Every lad had a pair of drainpipe trousers. It all started back in England where the “Teddy boys” addopted it as part of there uniform. 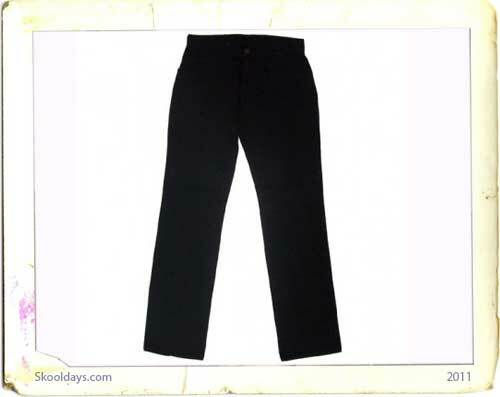 The trousers were normally made of lightweight 100% worsted wool. The drainpipe trousers or pants if you come from the states, actually some would even call them slacks. Anyway getting side tracked, these trousers were normally beltless and have no front or side pockets, only dual pockets in the rear. They normally came with open bottoms. The black “Drainpipe” trousers gained its name due to the faact that it really looked like 2 drainpipes with chunky brogues or suede crepe-soled shoes. In the 1950’s the “Teddy Boys” made the look and fashion at the time an important factor to follow, instead of just having one’s work or school clothes or Sunday best. This trend arose as young people’s disposable income increased during the post-war years. Teddy Boy clothing consisted of: long drape jackets, usually in dark shades, drainpipe trousers, often showing brightly coloured socks or white socks. They have made some revivals in various forms but will always be associatted with the 1950/60’s Teddy boys. This entry was posted in Fashion and tagged 1950, 1960 by Skooldays. Bookmark the permalink.